I’m so excited to have Debbie Van Grieken join us today as a guest blogger! Debbie is a small business owner on a mission! 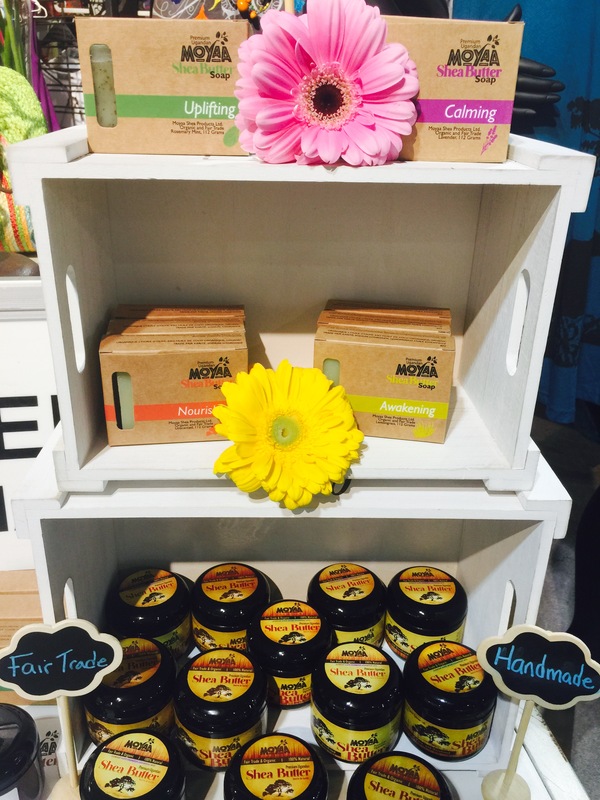 Her all natural Shea Butter products are not only ethical and sustainable, but they also follow the principles of Fair Trade. I love this – a purchase of her product supports farmers and families while preserving forests. 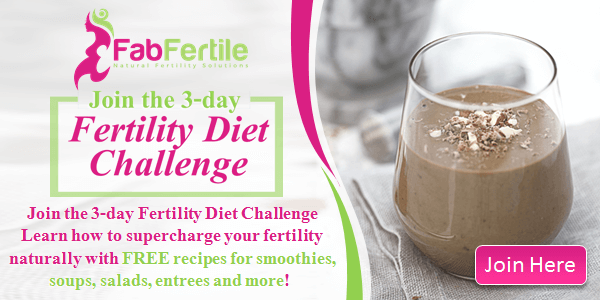 Yes its free of toxic chemicals that can harm your health and your fertility! Plus the stuff just works! I’ve got dry skin and live in a cold climate and during the winter my legs would just be flaking! I use the Shea Butter on my skin and its so soft and flake free! I love her passion for her business, her family (she has 5 boys) and her zest for life! She has been one of my closest friends for over 35 years! Have you ever stopped to consider how many ingredients you put on your skin? According to Jane Leneord the average women uses 12 products that contain 168 different ingredients on their body everyday! Three years ago, just before Christmas I was diagnosed with Melanoma, the most serious form of skin cancer. I required immediate surgery that left me with a 6-inch scar on my upper leg and weeks of recovery. While meeting with an oncologist and specialists I realized that I hadn’t been taking very good care of myself. I had started eating healthier about a year previous and had switched to organic fruits and vegetables so I was becoming more aware of the things I put in my body but I hadn’t given much attention to the things I put on my body. Placing Chemicals On Our Skin May Actually be Worse Than Eating Them! According to Dr. Mercola, putting chemicals on our skin or scalp may actually be worse than eating them. When you eat, enzymes in the saliva and stomach break down what’s ingested and flush it out of the body. However, chemicals on the skin are absorbed into the bloodstream without any filtering. Can you imagine what the long-term effects on our body would be with this constant use of toxic ingredients? Some of the ingredients in our skincare products have been linked to cancers, allergies, neurological disorders and reproductive issues; it’s really time we started reading labels on everything we buy and use on our bodies! Big skincare companies are spending more and more money on marketing and chemical development. What they don’t want you to know is that skincare doesn’t have to be complicated. In fact, it shouldn’t be complicated. All of those ingredient names that you can’t pronounce are not the answer to beautiful skin. Thankfully, smooth, supple skin and even skin tone are within reach, and can be achieved with 100% natural, pure ingredients. Debbie Van Grieken with her awesome Shea Butter Products! Does Shea Butter Really Address All Your Skin Care Issues? The great news — and what the cosmetic industry doesn’t want you to know — is that 100% natural Shea butter can address all of the skin conditions and challenges that you’re contending with. That includes all dry skin, oily skin, acne, irritation, inflammation, wrinkles, bumpy skin, uneven skin tone and texture, unhealthy colour, and many other skin ailments. First of all, skin dryness. Keeping your skin hydrated is key to your skin health and to your appearance. Shea butter contains natural moisturizers. In fact, the moisturizing elements that occur naturally in Shea butter are similar to those produced by your own skin. Shea butter also contains a significant amount of Vitamin F, which is made up of fatty acids, the deficiency of which can lead to dry skin in the first place. You might think that using something with the word “butter” in it would be a mistake to use on your skin. Quite the opposite! Shea butter is comparatively less comedogenic than other oils, and is frequently used to treat acne because of the fatty acids in the Vitamin F. People who are acne prone tend to have low linoleic acid content in their skin, so Shea butter addresses this need, helping to clear the skin. Shea butter also contains an antioxidant called cinnamic acid. While “acid” also doesn’t sound like it would be something that’s good for your skin, it’s precisely this property which not only acts as an anti-inflammatory, but as a natural sunscreen. In fact, Shea butter naturally runs somewhere between a 3 to 6 SPF! Not only do its anti-inflammatory properties make Shea butter ideal to treat skin inflammation and irritation such as eczema, it also provides protection from sun damage. While the sun-kissed look may seem desirable, achieving a lovely color in your skin shouldn’t come at the expense of your skin’s health. Thankfully, Shea butter can improve blood circulation and promotes cell regeneration. Moreover, avoiding sun damage means preventing premature aging and wrinkles. Speaking of wrinkles, Shea butter has yet another benefit in the form of Vitamin A, which is the most effective vitamin for preventing and reducing or removing wrinkles by boosting collagen production. Not only that, Vitamin E, another antioxidant found in Shea butter, may help prevent damage caused by free radicals. Free radicals can do everything from change the skin color to cause it to lose its elasticity by breaking down the skin’s collagen. Vitamin A and E are defenses against this, but Shea butter also has healing properties for when damage has already taken place. If you can’t put it IN your body, why would you put it ON your body? I have been so pleased with my own skin improvements and I’m passionate about sharing my journey with others. I love when people message me or stop me at an event to share their Moyaa success stories! Maybe one day I’ll hear from you! The key really is to keep things simple. Thanks Debbie for sharing your wisdom and knowledge with us! 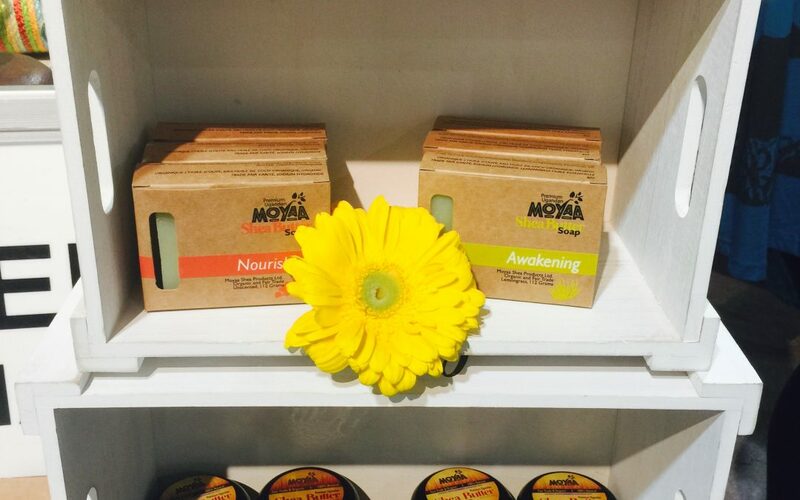 For more information on Moyaa Shea Butter you can visit her website: www.moyaasheabutter.com. Grab a copy of my book Fabulously Fertile: Supercharge Your Fertility to learn more about the link between environmental toxins and fertility.